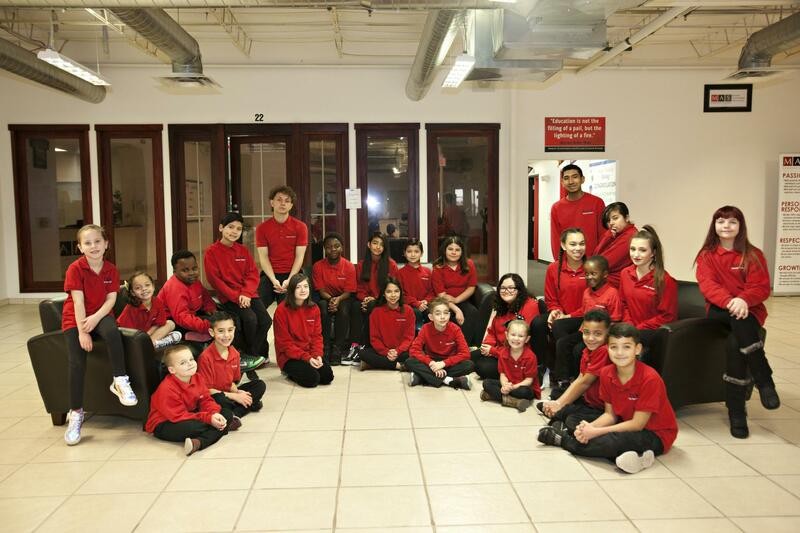 Mission Achievement and Success is a free public charter school that opened in 2012. We offer a grades K-12 college preparatory program for any student desiring to be college bound, regardless of current or past academic performance. We serve all students, including students with disabilities, English learners, and gifted students. In the 2019-2020 school year, we will serve students in grades K-12 at our 1718 Yale Boulevard location and grades K-3 at our 1255 Old Coors Drive location and we will continue to add one to two grade levels each year until we offer the full spectrum of grades K-12 at our Old Coors location. All students are admitted through a blind lottery process. There are no admissions requirements or interviews, and there are no admissions or tuition fees. Our lottery is held on the second Friday of April each year. All applications will be considered, but only those completed applications received by the day before the lottery will be entered into the lottery. Student applications received after this date will be awarded a seat on a first come, first serve basis, if seats are available. If seats are unavailable, the student will be placed on a waitlist in the order in which their application was received. During the lottery, if more students apply than spaces are available, the student's name will be placed on a per-grade waitlist, in the order that their name is pulled during the lottery process. If a student accepted through the lottery declines, or when vacancies arise throughout the school year, students will be contacted from the waitlist in the order in which they appear. Parents of students accepted through the lottery or accepted from the waitlist will be notified via telephone and will have five business days from the date of the call to register their child, or make arrangements for registration. Failure to do so within five days will result in loss of enrollment. MAS has 60 seats per grade at the elementary level and 120 seats per grade at the middle and high school level. Each year, our lottery will be conducted to fill all 60 seats in kindergarten and available seats in all other grades, however, the number of available seats in other grades will vary from year to year based on the number of students that do not re-enroll at MAS. Once a student has been admitted to MAS through the lottery, the student does not need to re-apply to keep their seat unless they disenroll and seek to re-enroll at a later date. New Mexico State Statute has a sibling rule for charter school students. This rule indicates that if a sibling currently attends a charter school, the incoming sibling can bypass the lottery process and is automatically awarded a seat. “Currently attends” refers to students enrolled during the previous academic year. A preference is not provided for students whose sibling was admitted through the lottery for the current academic year, but instead for siblings of students already enrolled and now returning to MAS. If you have additional questions about MAS, or our application and lottery process, please contact us at 505-242-3118. Thank you for your interest in our school! Ready to apply? Click the link below to complete our online application. The mission of MAS is to prepare students to be successful in college and the competitive world by providing a rigorous college preparatory program in a safe and effective learning environment. Our primary objective is to instill in our students a commitment to high academic achievement, continual goal setting, and principles of personal success. MAS believes that all children, regardless of race, economic status, or past educational experiences can succeed if they have access to a great education. Providing a great education means surrounding students with a team of dedicated, passionate, and highly effective educators who embrace a "no excuses, whatever it takes" attitude to ensure that our students not only earn a high school diploma, but possess the skills to experience success in college and the competitive world. Ready to get started with MAS? Please click the link below to apply now.